Which Highlight is Right for You? The bridge between balayage and ombre – a graduation of three or more shades. You like having brighter shades around your face, but don’t want the maintenance of the highlights or the contrast of the traditional ombre. you want higher contrast or definition between colours. A French technique that involves hand-painting highlights to create dimension and movement in the hair. You like softer, more natural-looking colour, with less upkeep. You like high-contrast colours or chunkier foils. A technique resulting in colours being graduated from light to dark. 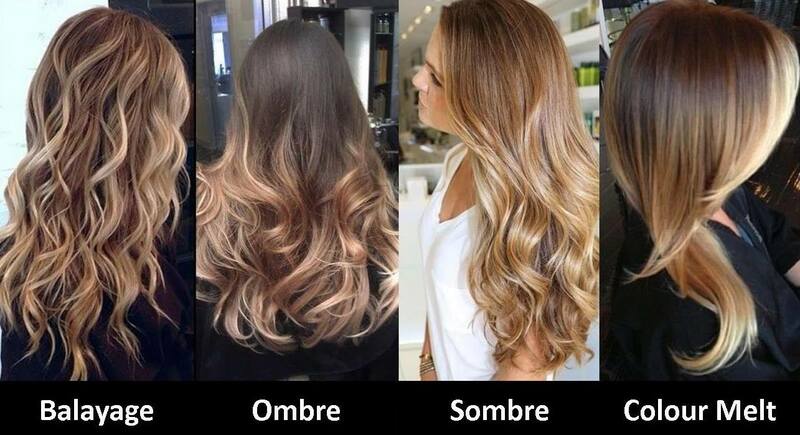 Ombre can be done with both natural or fashion colours. You have hair shoulder-length or longer, and you’re looking for something outside the realm of traditional highlights. You like a more blended colour, or prefer natural-looking highlights. A softer, more natural version of ombre colouring. You’ve never coloured before, or you’d like something natural and low-maintenance. You like a higher contrast between shades.